This fly sheet for the Lehman Heater promotes four different versions of "The Queen" foot warmer, which could, as the advertisement states, be used as a foot rest. J. W. Erringer was the General Western Sales agent for the Lehman Automobile Heater. 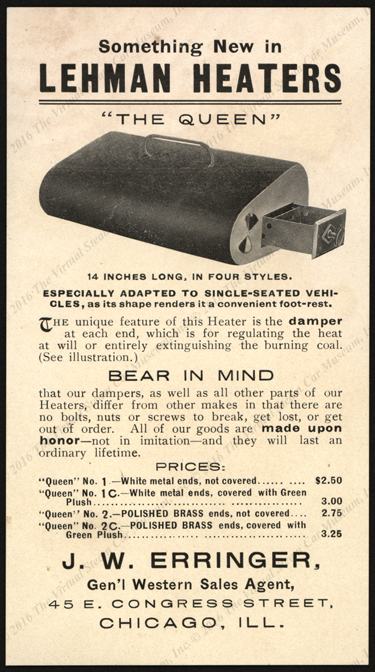 This model, "The Queen," came in four different versions of its foot warmer or foot rest. Contact us if you have additional information about the J. W. Erringer or automobile heaters or if you have questions.